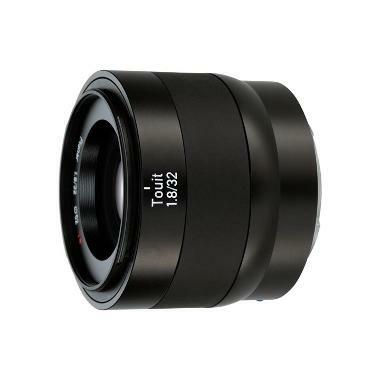 The Zeiss Touit 32mm f/1.8 Lens for Sony E Mount is a light and compact lens that's suited for portraits and travel. It comes equipped with anti-reflective coatings to reduce lens flare and ghosting. Touit is pronounced like "do it" and is the name of a small and agile parrot. These lenses represent agility, mobility, and diversity and are designed to have a long working life with their rigid metal bayonet mounts and rubberized control rings. The wide f/1.8 aperture allows for low-light shooting and beautifully shallow depth of field imagery. It supports the use of phase detection AF and Fast Hybrid autofocus systems found on Sony E mount cameras. It is compatible with crop sensor/APS-C sensor cameras, such as the a6500. It is also compatible with the a7 series of Sony cameras but only when shooting in crop sensor mode. • This is an E mount lens that is compatible with crop frame/APS-C sensor cameras only. It is not recommended for full frame sensor cameras unless they have a crop mode.